For those of you that followed my bee (mis)adventures last summer, I’m happy to report that I’m trying again. 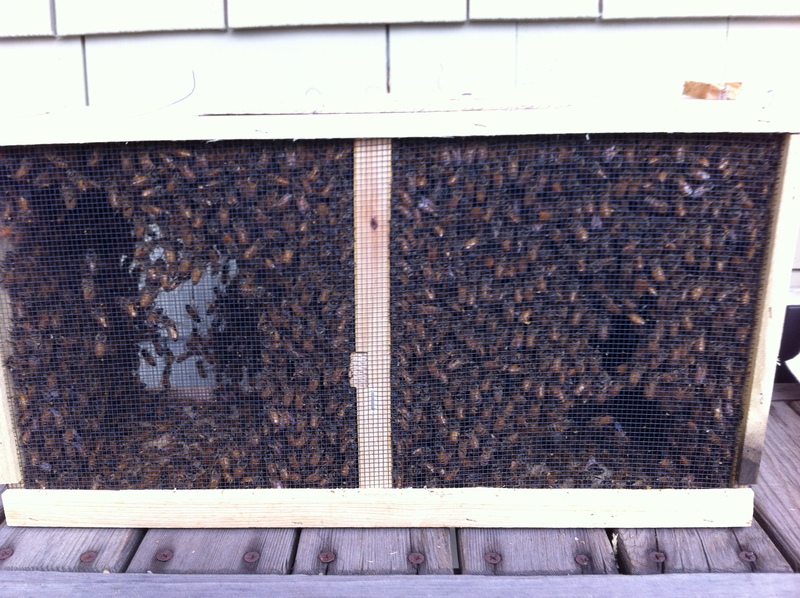 Two weeks ago, I picked up a new package of bees and introduced them to their new home. 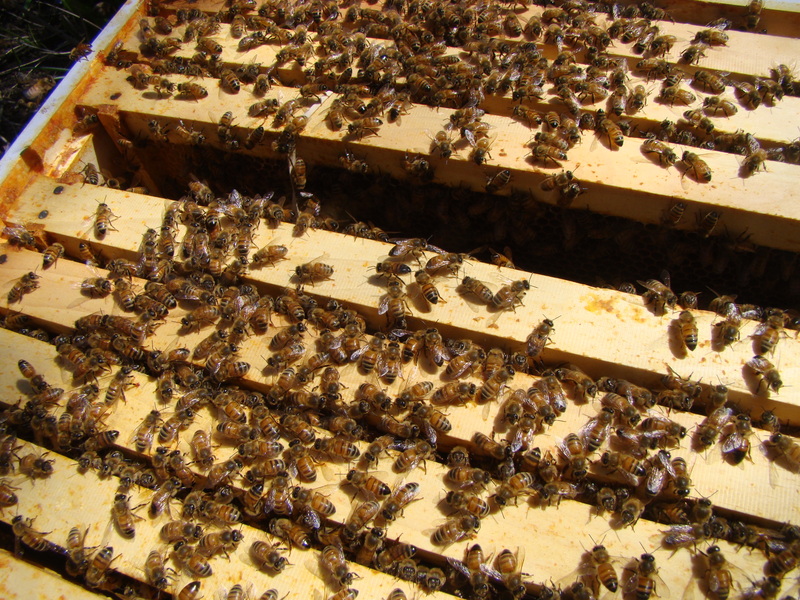 A package of bees is a small wooden box, with mesh sides, filled with about three pounds of bees. That’s about 10,000 bees and their queen. The queen is in her own private cage, sealed up with candy, waiting for the bees to eat up the candy and open up her way out of the cage. 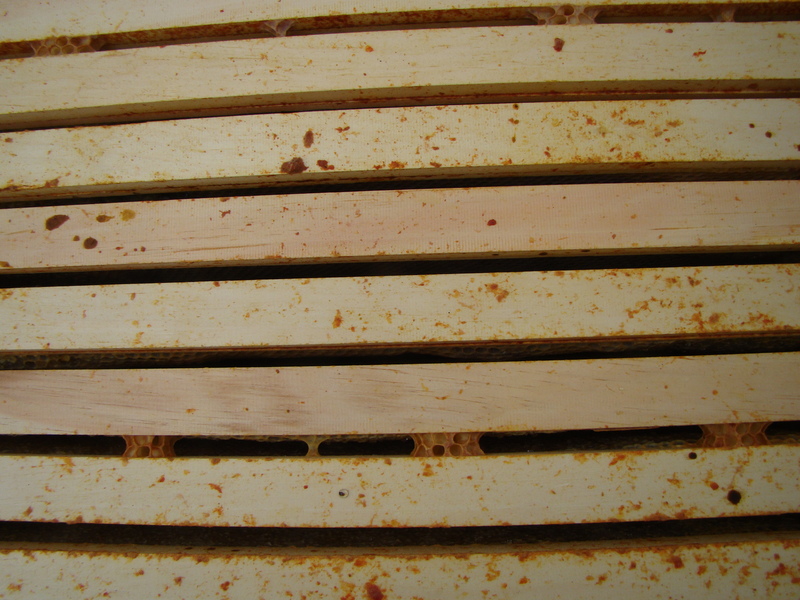 I find installing bees into their hive is a leap of faith. 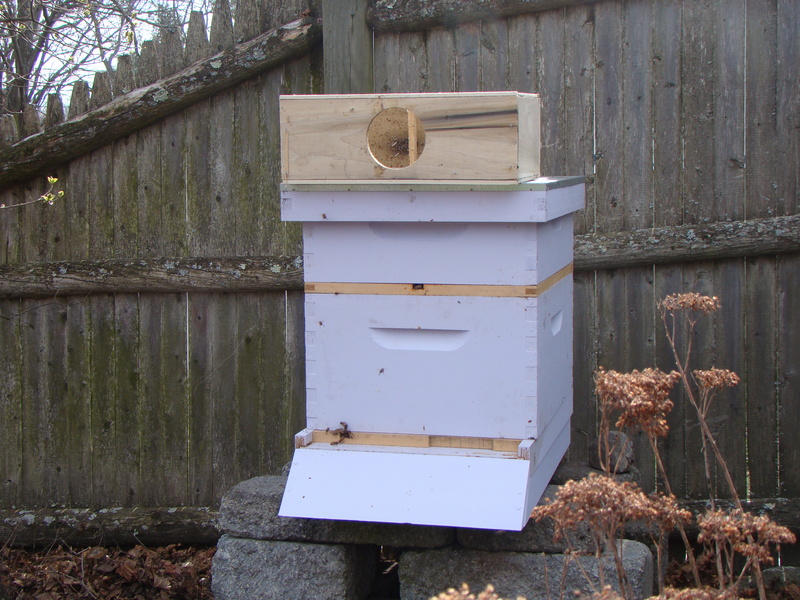 Even though I did it last year, it’s a little frightening to open the package, remove the queen’s cage and situate it, and then with a few brisk shakes, dump the rest of the bees into the hive. Actually, the bees are much more interested in the queen and having a home to occupy than with me. 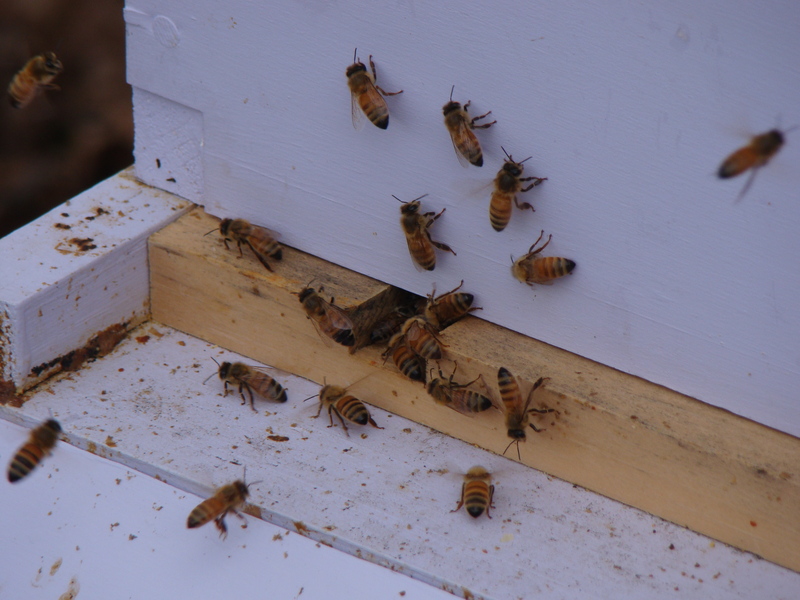 A few swirled around me as they got oriented, but most of the bees settled into the hive. It was a sting-free experience! During the week, the bees were busily coming and going. They took some of the food (sugar syrup) I provided, but with new trees and flowers in bloom daily, I think they are finding plenty of forage in the neighborhood. 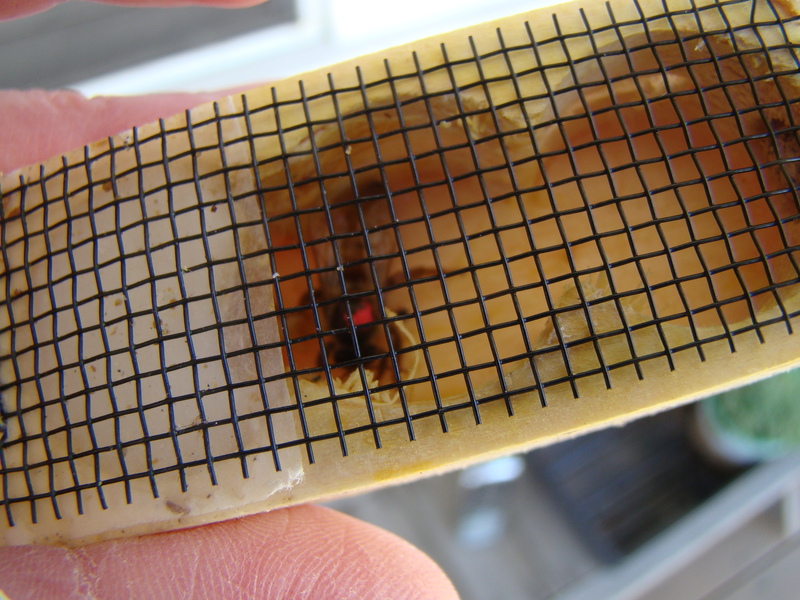 After a week, it was time to check that the queen had been released from her cage and started her job of laying eggs. Unfortunately, I had done something wrong and, not only was she NOT released, she was dead in her cage. Have no fear, it’s not the end of the story. I was able to get a new queen and get her settled in to wait for her release. In a few days, I’ll have a chance to check on her, but I’m hopeful all is well. Stay tuned for the next chapter. Queen #2 The red dot will make her easier to find during hive inspections.